Boys Rule Boys Read! : How Unbelievably Cool! An Interview with Phyllis Reynolds Naylor! How Unbelievably Cool! 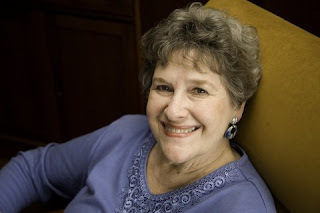 An Interview with Phyllis Reynolds Naylor! Iron Guy Carl: I’ve heard this nasty rumor that it’s uncool for boys to read. I bet you disagree. Tell us why. Phyllis Reynolds Naylor: Why in the world would it be uncool for boys to read? Guys write, don't they? Some of our best stories and books are written by guys! Boys often have great adventures and pretty wild imaginations, so it's not surprising that some of them write wonderful books when they grow up. IGC: I’ve heard the story of how you came to write the Boys vs. Girls series but most of our boys probably haven’t heard it. Would you tell it to us? PRN: A publisher had asked me to think about writing a new series, but I wasn't sure I wanted to get involved with another one. I told them that if I could think of a universal theme, I might do it, but I'd have to think about it. Then one day I was going to speak to a huge crowd of students in an elementary school. As they entered the gym, they were laughing and shouting and having a good time, and it didn't bother me a bit, as I hadn't started my talk. But it evidently did bother one of the teachers, because he yelled, "If you don't quiet down I'm going to seat you boy/girl/boy/girl, and instantly the whole gym was quiet. I thought this was pretty funny, and said to myself, "That's it! The way boys and girls feel about each other at this age. I'll write a series, and the first book will be, "The Boys Start the War." The second will be, "The Girls Get Even." PRN: You know, it's been a long time since I wrote those books, but the first episode that comes to mind is in the very first book, after the boys have dumped some dead birds on the girls'side of the river to make them think the water is polluted. So the girls, knowing the boys are spying on them, carry Caroline down to the water in a sheet, as though she is dead, and with a great show of tears, dump her into the water. PRN: Well, considering that I recently completed an "Alice" series, of 28 books, that took 28 years to write, twelve books didn't seem like so many. A series book, once I know the characters and setting well, usually takes about six months to write, and then I have six months to write something else. I kept a long list of various events that could take place in each book, and once I got started writing, other things naturally came to mind. IGC: The town of Buckman, West Virginia is based on the real town of Buckhannon, WV, where your husband is from. Did you go there very often? Have you been there since the books were published? If so, has the town changed much? Is Oldakkers Book Store still there? PRN: I've been there a number of times, both to research the series and for college reunions. The last I heard, that bookstore is still there, with the trap door in the floor. (I climbed down the ladder to take a peek) It's been several years since we were back, so perhaps the store has a different name now, I'm not sure. The first time my husband took me there after we were married, one of the swinging footbridges across the river was still there. When he was growing up, there were two. The lovely college has expanded with a number of new buildings, but the house on Island Avenue where my husband lived is much like it was. IGC: One more thing—the first book was published in 1993 before there were smart phones or even cell phones. In the first book Caroline gets locked in a tool shed and has to wait until someone came around to let her out. Do kids ever ask you why she didn’t just use her phone to call her sisters? And there was no email. The Hartford boys actually wrote letters to the Bensons—and had to wait for letters to come back! Do any kids tell you it seems strange nowadays? PRN: I've not heard that, but I suppose it must seem strange. Cell phones make huge problems for writers. It used to be that we had to think of clever ways to get the parents out of the picture so that when a kid was faced with a problem, he had to solve it himself. Now, if every kid has a cell phone in his pocket, where's the conflict in that? I think that's one reason so many writers write fantasy. No problem about cell phones there. Actually, I have a new book coming out in January called GOING WHERE IT'S DARK, in which a boy gets into great difficult inside a cavern. He has a cell phone, but there's no service. do you like on them? PRN: Hmmm. That's close. A thin-crust pizza with mushrooms and sausage, please. And in honor of your outstanding books and being so good to let us interview you, we're going to give you the greatest honor we could possibly bestow and make you an Honorary Guy. That's right--you now have the right to crack all the goofy jokes you'd like, make obnoxious noises at sporting events and eat insane amounts of food with no nutritional value. Yes, I know you're stunned at the greatness of this honor but don't worry--you've earned it! All silliness aside, we truly appreciate your coming here and talking to us. And I'm going to look for your new book! Thanks again and, boys, be sure to check out her website but, more importantly, head over to your local library and check out her books! Very cool indeed! I marvel at how much time Naylor spent with Alice, but didn't realize that the Boys vs. Girls series was 12 books! Thanks for doing this interview, and making Ms. Naylor an honorary guy!